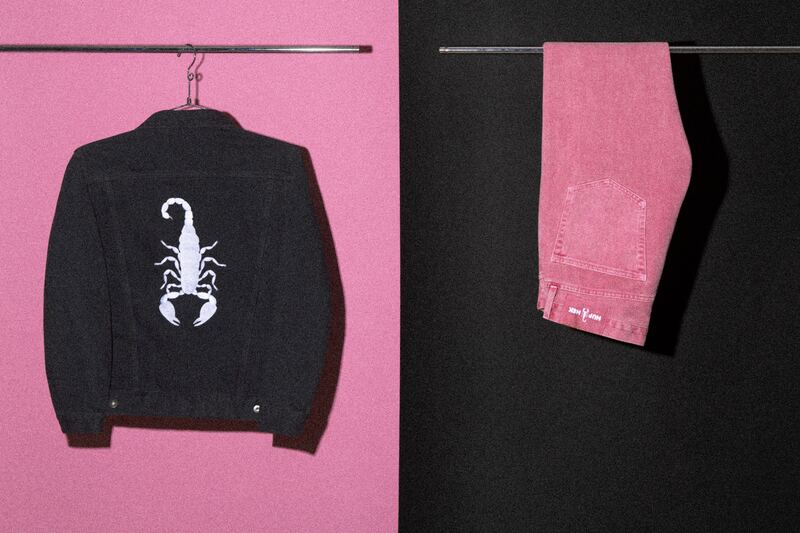 Integrating Hanni’s emblematic scorpion motif throughout, the HUF x HEK collection consists of a classic fit denim jacket featuring a 3D embroidery logo hit, distressed denim, s/s and l/s tees, hats, and bleached treatments across fleece hoodies. 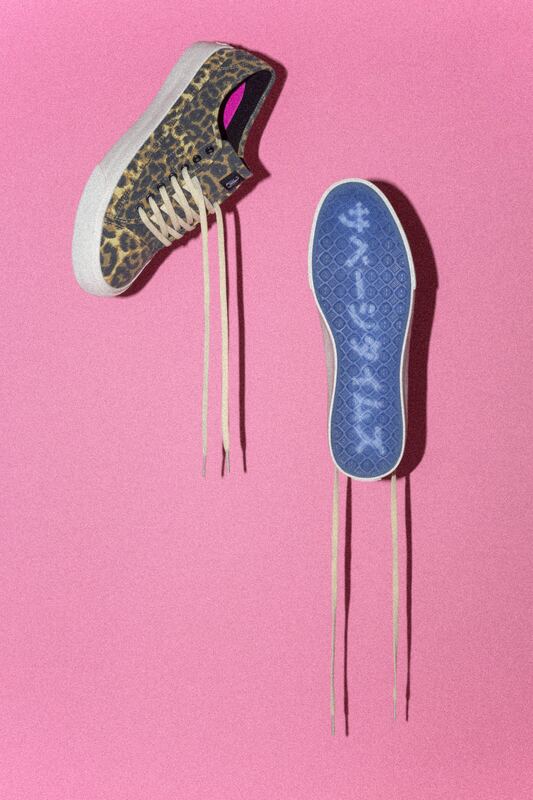 Other highlights include a collaborative take on HUF’s iconic Plantlife sock, which El Khatib originally designed for the brand back in 2005 before it took off, a scorpion necklace in partnership with Japan-based CLUCT, and the new Hupper 2 shoe featuring a stone washed leopard print fabrication and clear infinity rubber sole. 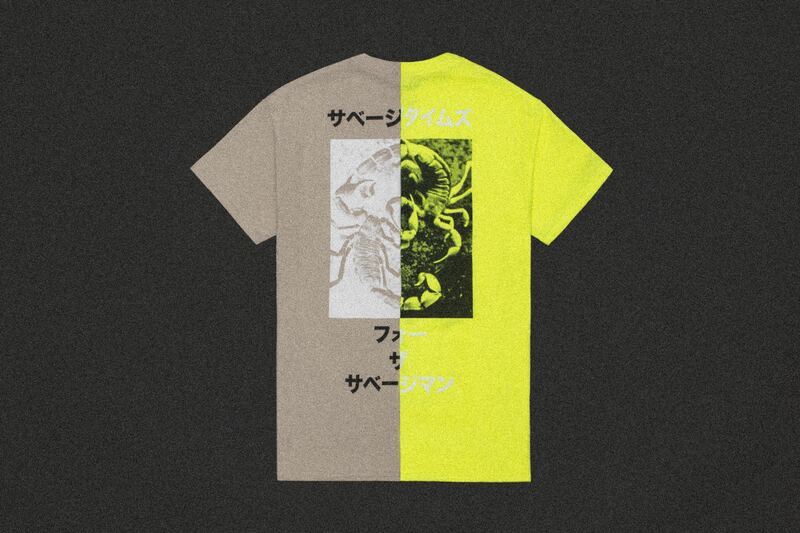 City-exclusive colorways in sand, safety green, and pink will be offered in Paris on March 3-5th, Tokyo on March 23-26th, and Los Angeles on April 6-9th, respectively, in conjunction with retail pop-up, performances and signings by El Khatib himself. Stay tuned to @hufworldwide and @hannielkhatib’s social for more event information. 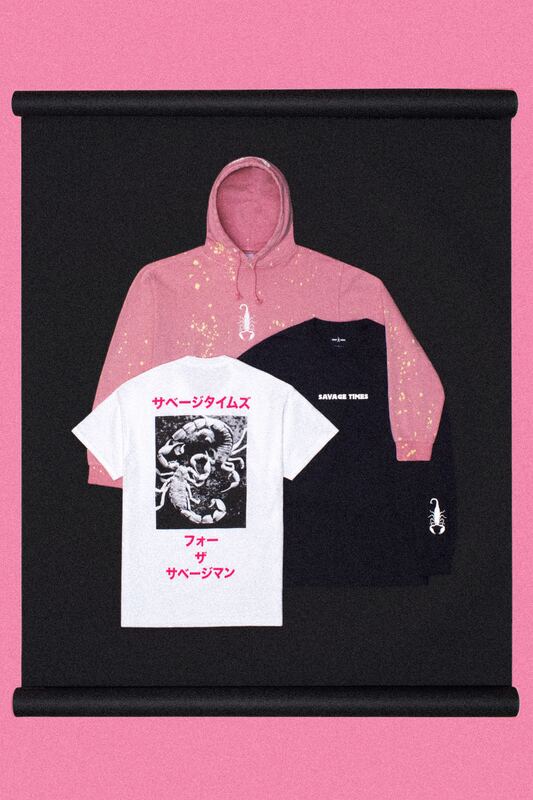 The full HUF x HEK capsule collaboration retails from $16-$150 and will officially be available at HUF Los Angeles, HUF New York and HUF online starting Thursday, April 6th.